After Byron Ferguson, the US legend of traditional archery, has announced early this year his participation at the famous traditional archery fair in Eisenbach, also Tim Cosgrove has committed to come and to join this European fair. Tim Cosgrove, the owner of the traditional archery company “Kustom King Arrows” from Indiana USA, states that he does not wants to miss this highlight of international traditional archery fairs. Tim will be together with Henry Bodnik at the booth of Bearpaw Products and fully available for his customers, as well as for his friends here. Both, Byrons and Tims, participation at this fair does put emphasis on its international importance for this sport. 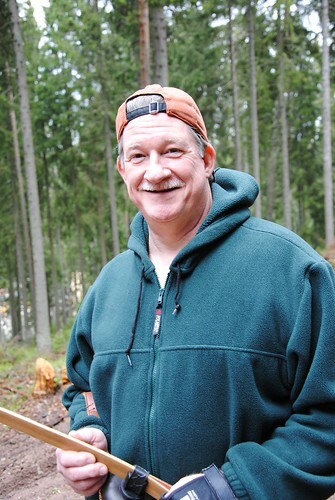 Here, Hubert Wursthorn, the owner of the Bogensporthotel in Eisenbach in the Black Wood Forest, has established a fair with a very particular flair and a exceptional combination of tradition and modern archery. One can find on that fair the whole family of the traditional bow scene and can fully enjoy the wonderful feeling of that sport. Between countless dealers, distributors and very unique little shops, everybody can find state-of-the art as well as particular products for his passion. Bow builder, fur dealers, knife maker, Indian shops and much more can be found on that fair. However, if somebody expects a traditional and highly commercial fair, he will be disappointed. Big bargaining, seeing and touching is done everywhere, as well tons of culinary specialties can be found and tasted here. To say it short: traditional archery by its basic meaning. By the way: Huber Wursthorn does operate that fair since more then 10 years and he is the foundation man of it. He was the first in the market in Germany who activated such a fair! Particular, Bearpaw Products is proud to gain Byron Ferguson for two “trick shooting shows – Become the Arrow“, during that two-day fair. Already more then 50% of the tickets are sold in the advance booking. Hurry up to secure your ticket! 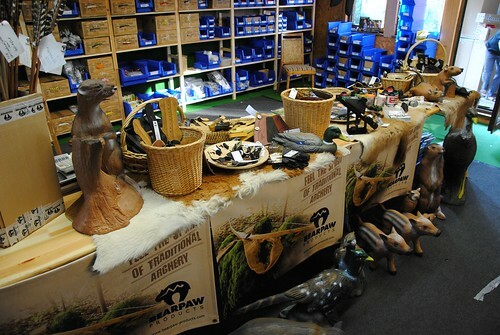 Bearpaw Products is looking forward to welcome you both, Byron and Tim. “Product of the week” at Bearpaw with a 10% discount.